Ours is a reputed entity engaged in manufacturing, supplying and exporting a wide range of Aluminium Products. Our product range consists of Aluminum Bronze Nuts, Aluminum Bronze CA 104, Aluminium Bronze Ingots, Aluminum Bronze Scrap, Aluminium Bronze Bushes, Aluminum Bronze Bolts, Aluminum Bronze Propellers, Aluminum Bronze Bushes, Nickel Aluminum Bronze and many more to name. These products are manufactured using high quality raw material procured from reliable vendors of the market. In addition to this, we stringently test each product on multiple stages to ensure their flawlessness and quality. These products are highly applauded for its features like optimum strength and low maintenance. With sound knowledge of the varied aspects of market, we are offering our clients a wide array of Aluminium Bronze CA 104. These products are most commonly used in various applications as they are preferable to other engineering material, where their is resistance to corrosion. Developed under the guidance of our experts, these products are manufactured in compliance with set industry norms and guidelines. 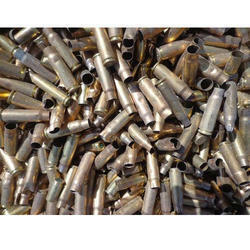 We have emerged as a prominent supplier of Gunmetal Bronze Scrap. We encourage and promote Recycling and Reusability of natural resources. Our offered range of this products caters to the varied requirements of various industries. Our customer includes top mpg of various foundries. 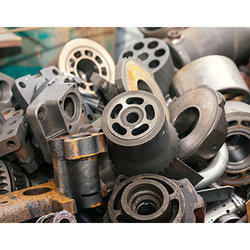 We are leading manufacturers, suppliers and exporters of a excellent range of Aluminium Bronze Scrap. These products are developed using supreme quality raw material that is procured from reliable and leading vendors of the market. 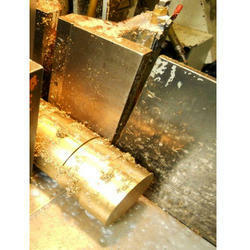 Looking for Aluminium Bronze Scraps ?